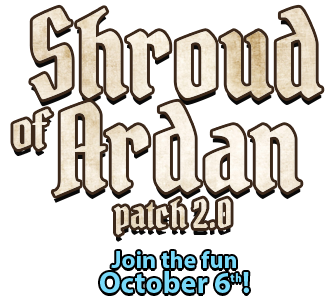 The Ardan server will open live this Friday, October 6th at 8:00 PM (Eastern Daylight Time). The Ardan server uses the Vorringia map and ARAC rules (no loreplay). Hopefully, the preview gave everyone a chance to shake off the rust and get stoked for the race to plant your cities in the perfect spot! We will have the full staff ready and waiting to address any potential anomalies that occur on launch day. We highly recommend each guild or group have at least one person in the SBE Official Discord Server to give real-time feedback. Less urgent bugs can still be reported in the Bug Reports thread. For those of you just joining us, please check out What's different here from SB at Shutdown 24.3? to catch up on patch 2.0. Thanks and see you Friday night!